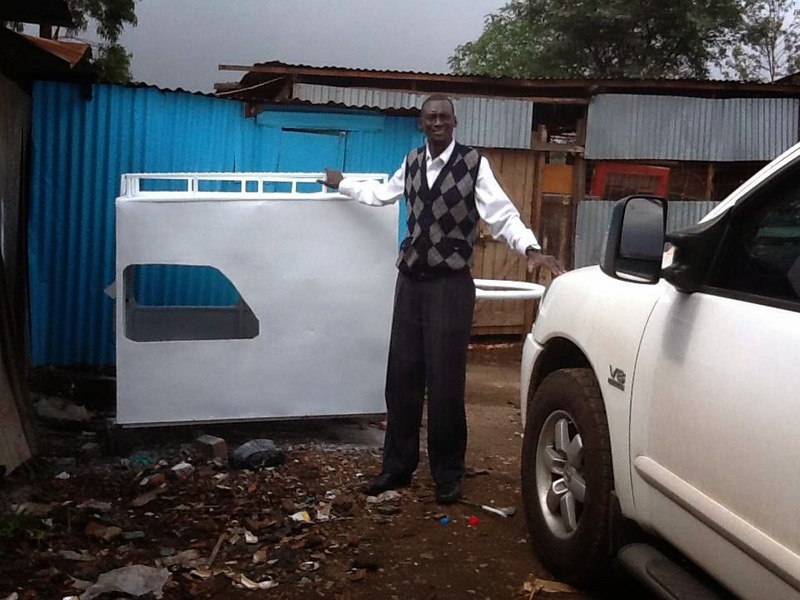 Pastor Garang from South Sudan went to the port of Mombasa, Kenya to collect a truck donated to his ministry. A church in Nebraska and an individual family worked together to provide it. Pastor Garang used to travel by bicycle to share the gospel and start churches in his homeland. He has retrieved the truck from the port and is in route back to South Sudan. It is a long journey on treacherous roads. There are those who would do harm along the way. He has need of money to buy fuel to go such a distance and is yet unable to pay the custom to enter South Sudan. He is unable to provide for himself all that is needed. He travels in faith, his very life in God's hand. All Christians should see the faith-walk as such: a long journey on a treacherous road with the potential for attack from the enemy, all while relying on God to get us safely home. We travel faithfully when we lack every resource and provision, trust in the contribution of God's grace and the body of Christ, with only our will to commend us to go forth regardless of the conditions. Sounds crazy, but the love of Christ compels us (2 Corinthians 5:13-14, loosely paraphrased). of those who announce the gospel of good tidings. Pictures courtesy of Pastor Garang Deng. Such a way to live life. Such a role model for us all. . . Will you update us on his journey. Praying as one of the frozen, chosen. . .up North. When I hear and see things like this, I'm reminded again what a wimp I am. So thankful for those who pave the way in showing us what deep faith looks like in hard places. Visiting from the Soli Deo Gloria! link up. Wow. This is such a testament to the power of faith -- oh what love He gives us to empower us to live like this pastor. Praying for continuous provision and a heart that always beats of love.